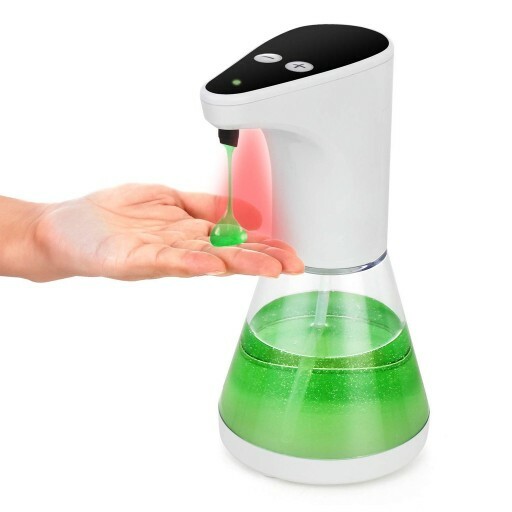 · TOUCHLESS – The soap dispenser features smart-motion, infrared sensor technology that provides a sanitary, no-touch, and easy-to-use operation that will only be activated when needed. 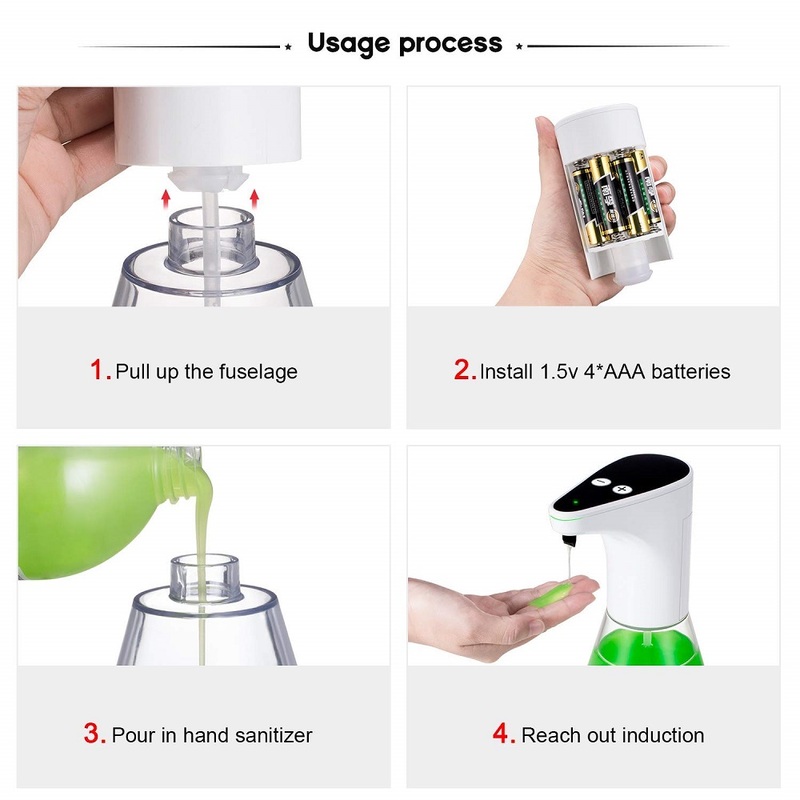 · SIMPLE TO SETUP AND EASY TO USE – You just need to put in the battery (4 AA batteries, not included), fill up the soap, an put your hand under the sensor or close the sensor, the soap will flow out. 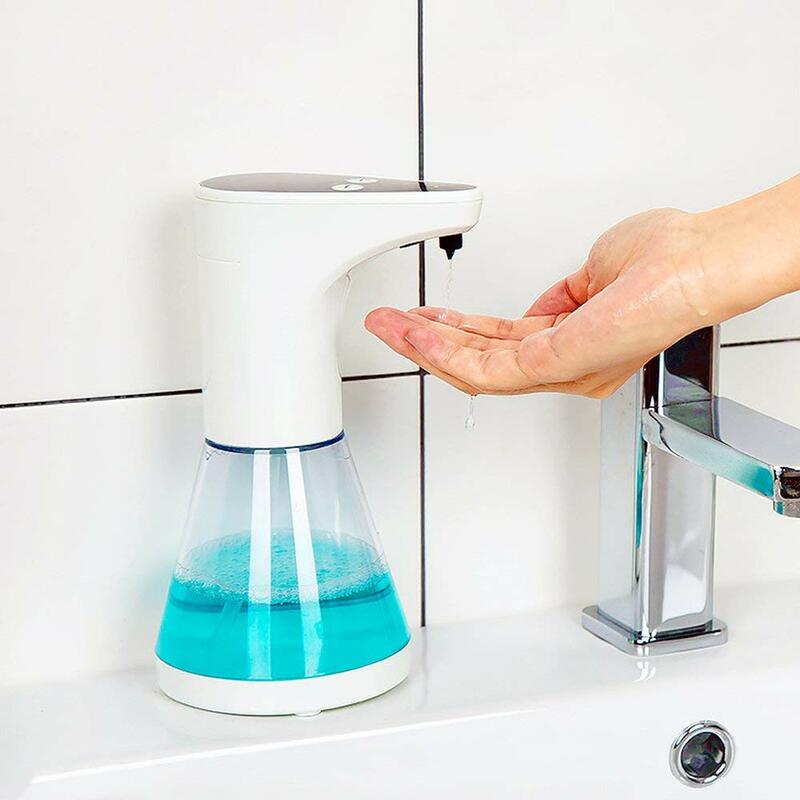 · VOLUME CONTROL – This efficient dispenser has 5 Adjustable Soap Liquid Level, allowing you to control the amount of soap that is dispensed. The transparent body can clearly see the remaining fluid volume. 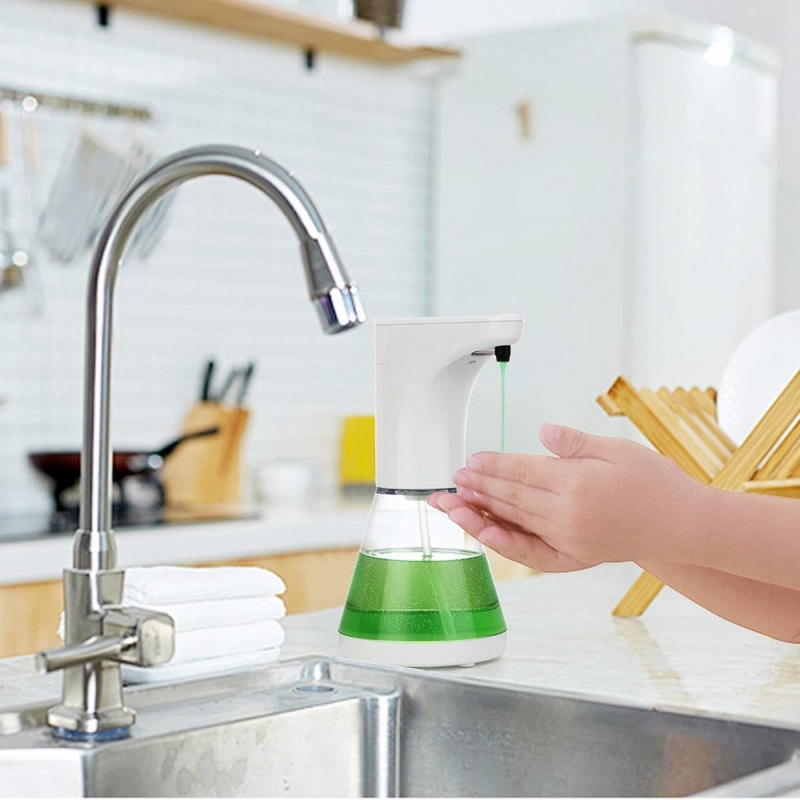 · MAKE YOUR LIFE EASIER AND CLEANER – Perfect for most decors and makes a smart choice fore the family. 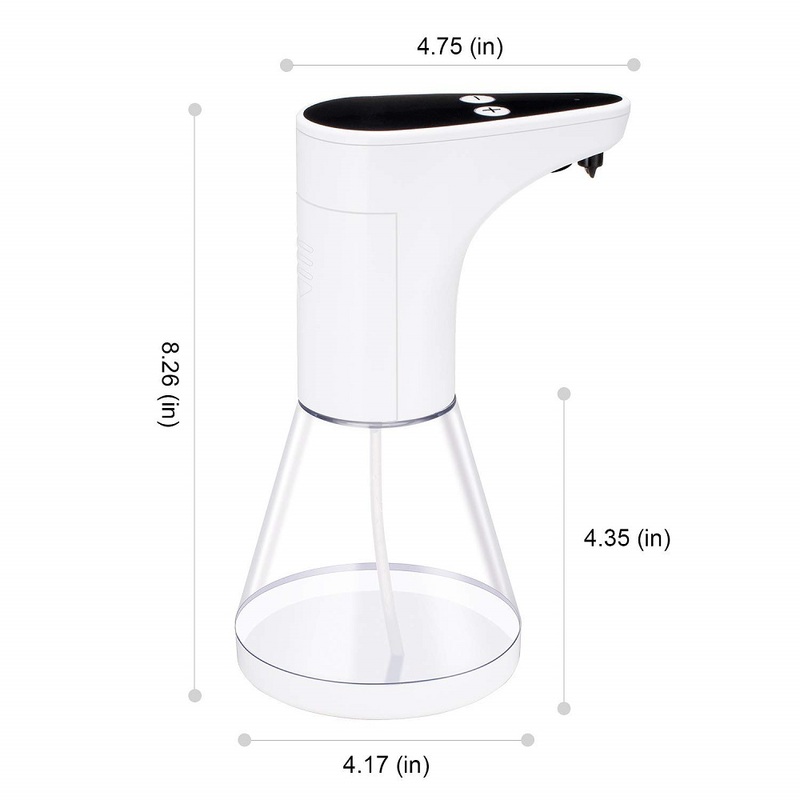 With its 17.8oz capacity refill tank, there is no need to refill the dispenser regularly, thus making the dispenser super convenient. 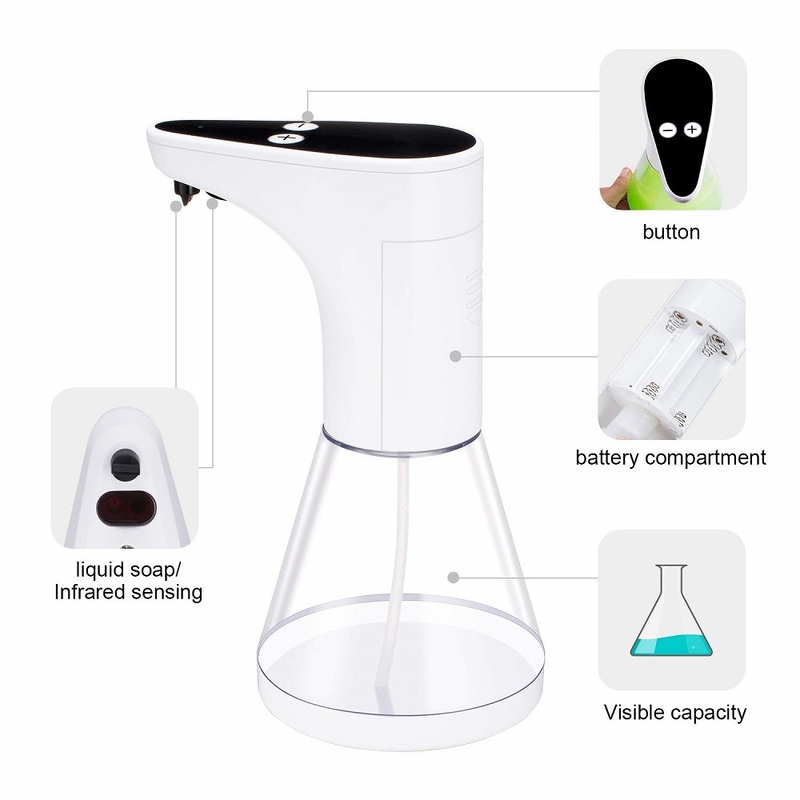 · USER-FRIENDLY DESIGN – Separated design effectively prevent the battery compartment from getting soaked in water which causes corrosion and the dispenser fail to operate. Included a Silicone Foldable Funnel for easy fast and clean transferring fluid, liquids. 2. Fill the pump with soapCAUTION: DO NOT fill the pump with exfoliant soaps.DO NOT overfill the pump. 3. There are 5 different levels on the pump. When it is turn on, it is on level 1. 4. To switch on/off, please long press the “+”/”-” button for 3 seconds. 5. 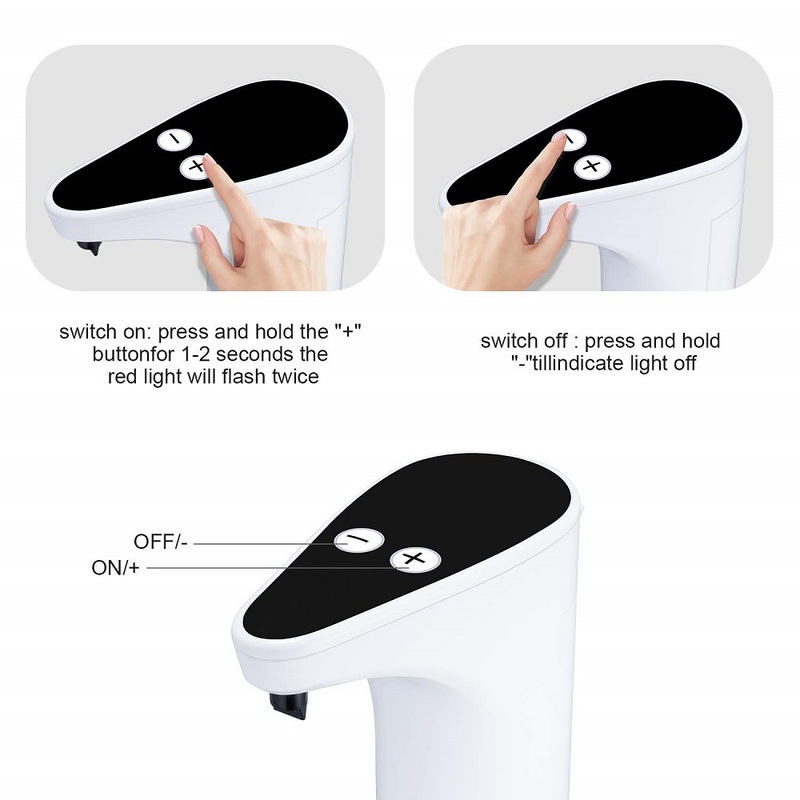 Put your hand under the sensor to let the dispenser start to work.